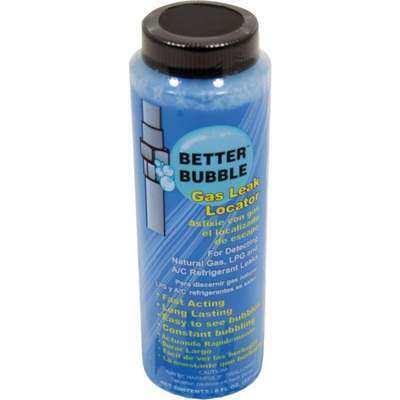 Rectorseal Better Bubble detects leaks of refrigerant gases, air, oxygen, and most other gases. Its thick blue formula can be used at various temperatures and pressures with all types of pipe, tubing, valves, tanks, A/C and refrigeration coils, and similar applications. Will not corrode metal surfaces or attack plastic or rubber. Application and cleanup are safe and simple.